Madison starts preschool in just under two weeks. I'm not getting the my BABY is going off to school anxiety - yet. I'm sure I will as her first day creeps closer. Of course, she's helping that out by acting like a three year old lately, and I'm happy that two mornings a week someone else will have to impart the virtues of sharing. I'm not getting the is she really ready for this anxiety either. I know every mom thinks this, but she is a really smart kid. Colors and letters and numbers are old news. She's starting to read, she's doing beginning addition, she's patterning like a pro. She's been using ABCmouse and I've had to adjust the level up. Don't get me wrong, she definitely needs the social skills and fine motor work. I'm not sending her to college yet. But I'm confident she'll do just fine. Ok, bragging time over. No apologies. My kid (tantrums aside) is amazing. I'm sure yours is too. I'm getting the did I do what I needed to do anxiety. I don't want to be that mom. The mom who forgets to get the medical form filled out or doesn't mail the check on time. The mom who ends up at Target or Wal-Mart the afternoon of the first day picking up the things that everyone else seemed to know about. So far I did get the forms filled out and I did mail the check. I wrote all the appropriate dates and times on our family calendar. 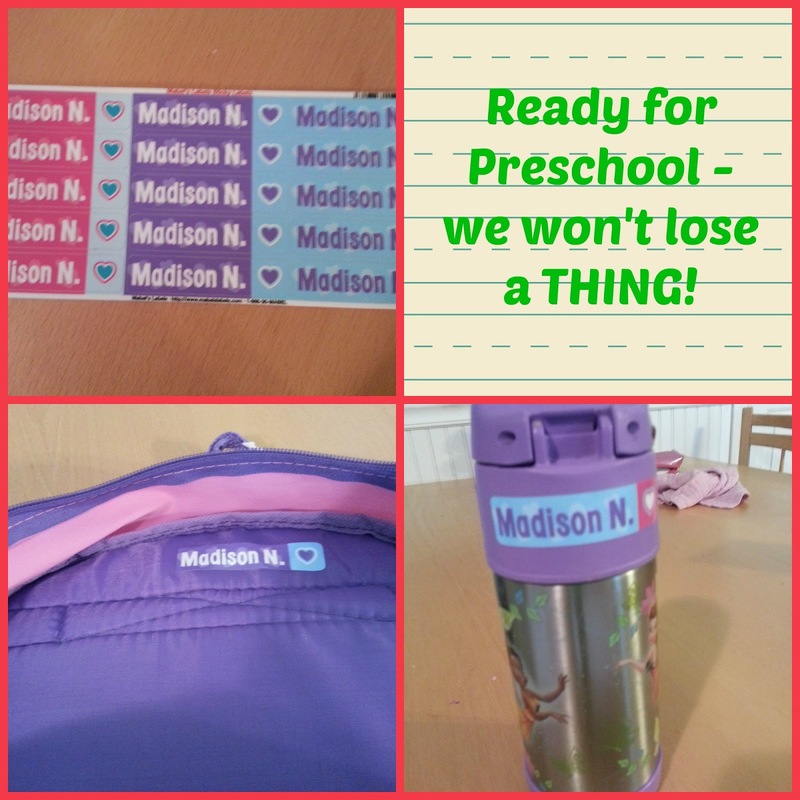 I got some very cool name tags from Mabel's Labels. In a class of fifteen kids, I'm pretty sure she's not the only girl who likes princesses or fairies. Madison thinks these are awesome. She loves the colors, she loves the graphic, and she loves that these labels are marking her "big girl" things. Mabel's Labels was kind enough to send me this complimentary set. They are an awesome affiliate partner. Now that I see how quality these things are (much more durable than any of the labels I've been using for toy boxes), I think I'll be ordering some more. 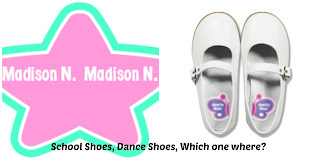 We've got enough for everything that's going in with her so far, but I just found these adorable preschool shoe labels that help the kids know right from left, and I think I need to indulge. I mean, seriously, do they work on that at preschool? You figure she's got a 50/50 shot of getting it right, and yet, I think she's got them on backwards about 90% of the time. Madison got a toddler sized backpack this winter, for her one day a week at a drop off Gymboree class. A backpack really wasn't necessary, but it was nice for her to carry in her change of clothes and water bottle like a big kid, and it was helpful to me to have a place to put her artwork when I was juggling two little girls, both of whom needed to be held in some way to keep them from darting off into the gym. 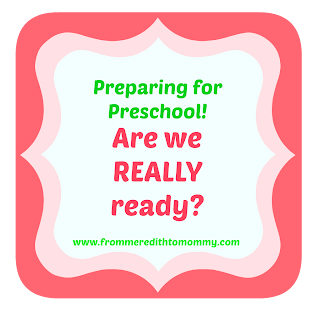 Well, a toddler backpack just won't do for "real" preschool. I know she's not bringing home homework, but her backpack does need to fit a folder (and a change of clothes. Please God, don't let her need the change of clothes). So yesterday we headed to Toys R Us to get a big girl backpack. Madison was very, very excited. She knew she wanted Princesses, but in the past few weeks we've walked past displays with all kinds of fancy-pants backpacks. Lights, tutus, glitter, the choices were baffling to Madison. All the princesses? One featured princess? Wait - there are FAIRY backpacks? Oh, decisions, decisions. We headed to the "Back to School" aisle and I pointed out several promising choices. Madison was in heaven. She finally picked out a very stylish (for preschool) choice, and graciously agreed to give Reagan her "baby backpack" to use for gymnastics, since she was a big girl now. Great. Nothing screams "big girl" like iridescent sparkle! I walked to the other end of the aisle and turned right. And immediately regretted my choice. The end cap was filled with Sofia the First playsets. Filled. Every possible scene from Sofia's life could be played out. Madison is actually not the big Sofia fan in our house. She likes her, as most Disney watching preschoolers do, but Reagan is the one who is obsessed. However, Madison did receive a few of these sets for her birthday, and she's had a great time playing with them. She immediately decided she wanted Sofia's bedroom. Now, she still has some birthday gift card credit. BUT, we had a discussion before we walked in that we were there for a backpack. Not a toy. I don't want her getting it in her head that she will always get to pick a toy out. In addition, she picked one of the pricier Sofia sets. Expensive? No, not really. But something I was willing to pick up on a whim. So I said, "Wow, that is very cool. Maybe we'll come back another day for that!" and tried to move on. And got the mother of all meltdowns. She screamed, she begged, she turned into one of those Veruca Salt children you see in toy stores demanding the world and demanding it now. Here's a hint kid. If I were wavering at ALL, I'm not anymore. Her final tactic was tossing her backpack overboard. Apparently, she heard "we're here for a backpack" as "you get one thing". Her theory was that if she rejected the idea of the backpack, Sofia would very happily fill the spot. After I quickly corrected her misconception - Sofia's bedroom set was not coming home with us, backpack or no - she refused to give in. She refused to let that backpack back into the cart. If Sofia wasn't coming with us, NOTHING was coming with us. Oh, and she wasn't going to big girl school either. Naturally, I bought the backpack "for me" anyway. 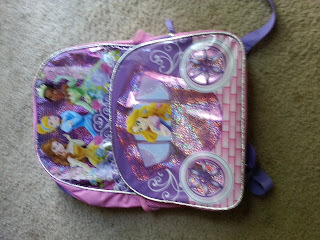 Hey, it was on clearance and the perfect backpack for a little girly girl to pick out. And there was no way I was taking her back to Toys R Us. 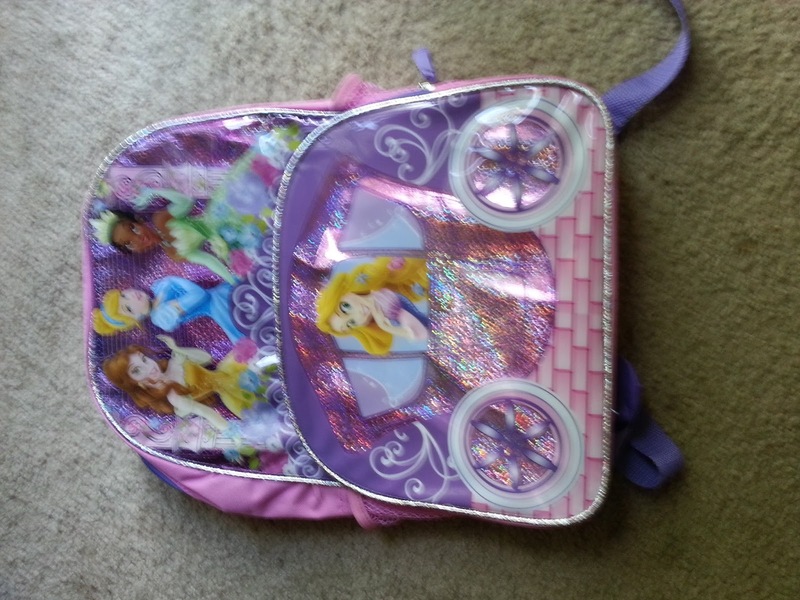 And now I'm trying to figure out how to present it to her in a totally cool, no this wasn't the backpack you screamed you didn't want, big girl school is super awesome way. And then I think we might be ready.